Willis H. Ware, a research scientist at the Rand Corporation working for the United States Air Force in 1967, predicted that ARPAnet would be a disaster if security wasn’t built into the project. In January 2013, the Final Report of the Defense Science Board Task Force on Resilient Military Systems and the Advanced Cyber Threat was issued and confirmed what Willis knew back in 1967. The United States cannot be confident that our critical information technology systems will work under attack. This is also true for our allies, rivals, public and private networks. The DoD and its contractor base are high priority targets that have already sustained staggering losses of system design information. The DoD should expect cyber attacks to be part of all conflicts in the future, and should not expect enemies to play by our version of the rules. There is evidence of attacks that exploit known vulnerabilities in the domestic power grid and critical infrastructure systems. In a short time, food and medicine distribution systems would be ineffective. Law enforcement and emergency personnel capabilities could be barely functional in the short term and dysfunctional over sustained periods. Expect physical damage to control systems. Months to years could be required to rebuild and reestablish basic infrastructure operation. So… the current situation is really bad. Does cloud computing and the rise of software defined networks (SDNs) make things better? 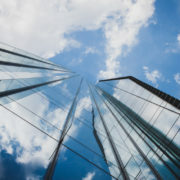 Government and enterprises are receiving huge benefits by moving into the cloud. You can quickly and efficiently create an SDN, but cloud computing and software defined anything is still software. And software will have errors. How do you test or QA it? Is your central control node secure? How much do you know, really? If this word “software” doesn’t scare you, then you’re not thinking about it hard enough. In the Defense Science Board Task Force’s report, the seventh recommendation is to build a cyber resilient force and a set of standards and requirements that incorporate cyber resiliency into the cyber critical survivable mission systems. What is their definition of resilience? The report highlights a need to continuously model and test DoD’s systems to determine how resilient they are. This requires a measurement or a metric for resilience. You have to understand your cyber terrain in order to secure it, defend it, and respond to incidents appropriately and swiftly. Operating without understanding your network is like stumbling around your unlit house at night looking for the burglar that just broke in. Are defenses deployed in the appropriate places? Exactly where are the sensor-reported incidents? RedSeal lets you know if your network is constructed as you think it is –to allow only authorized access to your data. RedSeal reads in information from devices on your network, including those parts hosted in the cloud. Then, it calculates the access actually allowed from any point on your network to any other and updates as changes are made, so you can verify and maintain compliance with regulations and policies. RedSeal enables you to simulate attacks before they happen. You can understand your defensive posture by finding the weak points and measuring ease of compromise. Cloud providers have cloud solutions to manage your cloud-based network. 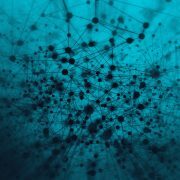 But most organizations don’t have a pure cloud network; their networks are hybrid. You have some infrastructure that you manage, some in the cloud, and some virtualized. We show organizations how all parts of their networks connect to everything else. Cloud providers don’t know what your legacy environment looks like. You need to be able to draw together your physical and cloud infrastructure in more than just a picture. At RedSeal, we believe you have to understand end to end behaviors of your networks. To do this, we do very deep access calculations based on the configuration files of all your network devices – virtual or not. RedSeal determines how your infrastructure actually works, so you can continually validate that you built what you thought you were building. You can ask all kinds of questions of your RedSeal network model. You can determine if the back end of your cloud infrastructure is accessible from the internet – and how. You can see paths that reach from the real world to the virtual world. We’ve invested a lot of time and effort at RedSeal, so you can see your cloud infrastructure and how it connects to your physical or virtual infrastructure. The completeness of your inventory of assets and systems. It identifies devices you may not know about. All the connections between devices. How well your network devices are configured for security. The actual risk to your data, based on how accessible known vulnerabilities are. RedSeal’s smartphone app provides a measurement and trend summary for executives or “on the go” security management. Why is the RedSeal Digital Resilience Score important? Gives you a measure of security effectiveness so you know where to allocate resources and funding. Helps you understand your security posture: are you better today than you were yesterday? Allows seniors staff to empirically understand network risk. For more on this subject, listen to the free webinar, On the Way to SDN and the Cloud: Building Resilient Networks. Last month, Secretary of Commerce Penny Pritzker appeared in front of the President’s Commission on Enhancing National Cybersecurity and the subsequent article in FedScoop caught my attention. She is very concerned that the President’s Commission could mandate that all US Federal Government information technology be consolidated under one organization’s authority. 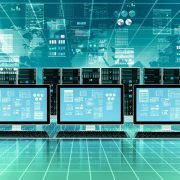 According to Secretary Pritzker, a mandate like this would make it difficult for an agency’s leadership to enforce cyber security initiatives addressing their specific needs. Is she correct to be worried? It may be worthwhile to turn our eyes to our northern neighbor, Canada, where this consolidation is taking place right now. Canada frequently looks to our government before adopting a new practice. In this instance we can learn from their experience. Currently, the Canadian government, including their equivalent of the Department of Defense and Intelligence community, is reorganizing and consolidating many small agencies into fewer larger agencies called Portfolios. This consolidation is not just on the cyber security front; the entire government is moving from 47 individual agencies to 28. This reorganization and consolidation is causing a lot of internal uproar since many former agency CIOs and CISOs now have to report to someone else. Former leaders no longer have a say in what they used to manage, with the authority moved to others higher up in the organizational chart. Additionally, the Canadian government is consolidating their 308 data centers into 40 to 80 super data centers. This will be a huge undertaking similar to our consolidation into Trusted Data centers. It is still too early to know if it will be worth the growing pains. But, I wonder if Canada’s governmental eye is being taken off the cyber ball. Is over- or under- centralization a root cause of the government’s less-than-perfect response to cybersecurity? Where should “authority, responsibility and capability” (and budget!) for improving cybersecurity lie? A White House cyber czar? The new federal CISO? The Cabinet Secretary level? Is a hybrid approach best? A mix of centralized cybersecurity services with agency specific toolsets? Should there be a united fedciv.gov network like .mil? A unified email system for all fedciv employees? As the Canadians are doing, would it be better to reorganize cybersecurity efforts independently of the agencies they serve rather than doing everything all at once? All in all, there are a lot of similarities between what is currently happening in Canada and the organizational recommendations that may come out of the President’s commission. I’m suggesting the US could learn a lot from our northern neighbor and ally. We know what segmentation is. Every enterprise network practices segmentation between outside and inside, at least. Most aim to have a degree of internal segmentation, but I see a lot more planning than doing — unless an audit is on the line. Many networks have a degree of segmentation around the assets that auditors pay attention to, such as patient records and credit cards. There are organizations further up the security sophistication curve who have a solid zone-based division of their business, can articulate what each zone does and what should go on between them, and have a degree – at least some degree – of enforcement of inter-zone access. But these tend to be large, complex companies, so each zone tends to be quite large. It’s simple math – if you try to track N zones, you have to think about N2 different relationships. That number goes up fast. Even well-staffed teams struggle to keep up with just a dozen major zones in a single network. That may not sound like a lot, but the typical access open between any two zones can easily exceed half a million communicating pairs. Auditing even one of those in full depth is a super-human feat. Now along comes the two horses pulling today’s IT chariot: the virtual data center and the software defined network. These offer more segmentation, with finer control, all the way down to the workload (or even lower, depending on which marketing teams you believe). This sounds great – who wouldn’t want super-fine controls? Nobody believes the perimeter-only model is working out any more, so more control must be better, right? But in practice, if you just throw this technology onto the existing stack without a plan for scaling, it’s not going to work out. If you start with a hard-to-manage, complex management challenge, and you respond by breaking it into ever smaller pieces, spread out in more places, you can rapidly end up like Mickey Mouse in The Sorcerer’s Apprentice, madly splitting brooms until he’s overrun. So I’m not saying micro-segmentation is a bad thing. That’s a bit like asking whether water is a bad thing – used correctly, it’s great, but it’s important not to drown. Here, learning to swim isn’t about the latest silver bullet feature of a competitive security offering – it’s about figuring out how all your infrastructure works together, and whether it’s giving the business what’s needed without exposing too much attack surface. https://www.redseal.net/wp-content/uploads/2016/08/RedSeal-logo.png 0 0 Dr. Mike Lloyd, CTO, RedSeal https://www.redseal.net/wp-content/uploads/2016/08/RedSeal-logo.png Dr. Mike Lloyd, CTO, RedSeal2016-09-19 16:00:592018-08-14 08:57:44Micro-Segmentation: Good or Bad? Most people think about network infrastructure about as much as they think about plumbing – which is to say, not at all, until something really unfortunate happens. That’s what puts the “infra” in the infrastructure – we want it out of sight, out of mind, and ideally mostly below ground. We pay more attention to our computing machinery, because we use them directly to do business, to be sociable, or for entertainment. All of these uses depend critically on the network, but that doesn’t mean most of us want to think about the network, itself. So what are we to conclude? We may wish our infrastructure could be started up and forgotten, but it can’t be. It’s weak, it’s got mistakes in it, and we are continuously finding new vulnerabilities. One key take-away about these router vulnerabilities: we should never expose management interfaces. That sounds too trivial to even mention – who would knowingly do such a thing? But people unknowingly do it, and only find out when the fan gets hit. When researchers look (and it gets ever easier to automate an Internet-wide search), they find millions of items that violate even basic, well-understood practices. How can you tell if your infrastructure has these mistakes? I’m not saying a typical enterprise network is all built out of low-end routers with broken crypto on them. But the lessons from this research very much apply to networks of all sizes. If you don’t harden and control access to your infrastructure, your infrastructure can fail (or be made to fail), and that’s not just smelly – it’s a direct loss of digital resilience. And that’s something we can’t abide. https://www.redseal.net/wp-content/uploads/2016/09/RedSeal_Holey-Routers_Network-Infrastructure.jpg 934 1400 Dr. Mike Lloyd, CTO, RedSeal https://www.redseal.net/wp-content/uploads/2016/08/RedSeal-logo.png Dr. Mike Lloyd, CTO, RedSeal2016-09-12 16:27:422018-08-14 08:57:52Hol(e)y Routers, Batman! I recently came across a rather nice title for a webinar by A10 Networks’ Kevin Broughton– “Hide & Sneak: Defeat Threat Actors Lurking within your SSL Traffic”. “Hide & Sneak” is a good summary of the current state of the cybersecurity game. Whether our adversaries are state actors or less organized miscreants, they find plenty of ways to hide, stay quiet and observe. They can keep this up for years at a time. Our IT practices of the last few decades have engineered very effective business systems. On the other hand, they are sprawling and complex systems, made up of tunnels, bridges and pipes — much of which is out of sight, unless you take special pains to go look in every corner. The “Hide & Sneak” webinar focuses on SSL, just one aspect of just one kind of encryption used in just one kind of VPN. This is worthwhile – I mean no criticism of the content offered. But if we think about how complex just this one widely used piece of infrastructure is, and then take a step back to think about this level of detail multiplied across all the technologies we depend on, it’s obvious that it’s impossible for any single security professional to understand all the layers, all the techniques, and all the complexity involved in mission-critical networks. Given staff shortages, it’s not even possible for a well-funded team to keep enough expertise in-house to deal in full depth with everything involved in today’s networks, let alone keep up with the changes tomorrow. If we can’t even hire experts in all aspects of all the technologies we use, how can we defend our mission-critical infrastructure? We can break the problem down into three parts – understanding the constantly-shifting array of technologies we use; keeping up with the continuous stream of new defects, issues and best practices; and thinking through the motivations, strategies and behaviors of bad actors. Of these three, the first two are highly automatable (and essentially impossible without automation). The third is the ideal domain for humans – no computer has the wit or insight to think strategically about an intelligent, wily adversary. This is why automation is best focused on understanding the infrastructure, and on uncovering and prioritizing vulnerabilities and defensive gaps. The best security teams focus human effort on the human problem – understanding the thought patterns of the adversaries, not on learning every detail of every aspect of every technology we use. Our CEO Ray Rothrock shared the latest on cybersecurity as a guest on Mad Money with Jim Cramer (CNBC) today, covering a variety of topics – from why perfect firewall management doesn’t provide perfect protection, to the risk of a hacking attack on electrical grids and nuclear power plants. Jim: What goes into my digital resilience score? Ray: There are three things that really matter. First is configuration checks. You’ve got all this equipment—network equipment—it’s probably configured by really good people, but it may not be perfect. We can assign that. Vulnerabilities—that’s what everyone talks about. Vulnerabilities are interesting but you need to know where it is in the network. Is it reachable for the bad guys on the outside? We can tell you that. So why spend all your time scanning and fixing a computer that’s not reachable? That’d be a waste of your time and money. And the third thing – and this is what gets the CISOs quite nervous – it’s called the incomplete model. Learn more about how you can make measure your organization’s digital resilience score by contacting us here. A blog post on how major infrastructure vulnerabilities produce the same questions – and how digital resilience puts organizations in the best position to respond. A step by step “how-to” that shows how network teams can use RedSeal to understand their potential exposure – and to what degree. A video demonstration of how defenders can use RedSeal to understand the extent of the problem in their specific network. Have questions, or want to understand how RedSeal can help you with the next inevitable vulnerability hack? Contact us here. The latest revelations about firewall vulnerabilities stolen and leaked by the Shadow Brokers are very scary, but not all that new. We learn about the release of a major infrastructure vulnerability about once every six months or so. Organizations that have learned to focus on resilience — knowing their network and how to operate through a threat — are in the best position to respond. With each new revelation, every defender has to scramble to answer the same three basic questions: do I have this problem? Where? Is it exposed? In today’s situation with weaponized vulnerabilities in major firewalls, the first question is easy to answer (if unfortunate). It seems that almost every major network has instances of these vulnerable products as part of their security defenses. The second and third questions require mapping the vulnerability into your own network. Do you have wide open access, or, effective internal segmentation? For this disclosure, have you properly locked down the important protocol known as SNMP? Once you can answer these questions, you are ready to begin incident response based on any surprises you turn up. Imagine you’re responsible for a physical building, and you put up doors marked “Authorized Personnel Only”. That’s an important thing to do. Whether you run a retail store, a corporate office, or a cruise ship, you need to keep some critical infrastructure and access in a special zone. Now imagine forgetting to put those signs on some of the doors, or worse, leaving them open – perhaps through simple oversight, rushing to build out your business, or as you adapt to changing times. And, the only way you could know if you have a problem is to walk through every single hallway to check. If you don’t know or can’t tell whether your restricted areas are solid, then incidents are much scarier. This is the issue behind the latest revelations. It’s an important industry-wide best practice to isolate important network management protocols in a special zone, similar to the “Authorized Personnel Only” part of many buildings. But organizations everywhere have to scramble to see whether they have done this properly in light of the new vulnerabilities in those protocols. RedSeal users can see where they stand with just a few clicks. To read more, including step by step instructions for using RedSeal to answer these critical questions, see here. For a demonstration of how you can use RedSeal to understand the extent of the problem in your specific network, watch our video. Last month, Wallace Sann, the Public Sector CTO for ForeScout, and I sat down to chat about the current state of cybersecurity in the federal government. With ForeScout, government security teams can see devices as they join the network, control them, and orchestrate system-wide responses. Our conversation is lightly edited for better clarity. Wayne: Describe the challenges that ForeScout solves for customers. Wallace: We help IT organizations identify IT resources and ensure their security posture. There’s always an “ah-ha moment” that occurs during a proof of concept. We see customers who swear by STIG, and will say they only have two versions of Adobe. We’ll show them that there are 6-7 versions running. We tell you what’s on the network and classify it. Wayne: We often say that RedSeal is analogous to a battlefield map where you have various pieces of data coming in to update the topography map with the current situation. By placing the data into the context of the topography, you can understand where reinforcements are needed, where your critical assets are and more. RedSeal’s map gives you this contextual information for your entire enterprise network. ForeScout makes the map more accurate, adapting to change in real time. It lets you identify assets in real time and can provide some context around device status at a more granular or tactical level. Wallace: Many companies I speak to can create policies on the fly, but ensuring that networks and endpoints are deployed properly and that policies can be enforced is a challenge. Wayne: Without a doubt. We were teaching a class for a bunch of IT professionals, telling them that RedSeal can identify routes around firewalls. If the networking team put a route around it, the most effective firewall won’t work. The class laughed. They intentionally routed around firewalls, because performance was too slow. Endpoint compliance typically poses a huge challenge too. RedSeal can tell you what access a device has, but not necessarily when it comes online. Obviously, that’s one of the reasons we’re partnering with ForeScout. Wallace: ForeScout can provide visibility that the device is online and also provide some context around the endpoint. Perhaps RedSeal has a condition that DLP is running on the endpoint. ForeScout could tell you that DLP is not loaded, and therefore no access allowed. Wayne: Inventory what’s there. Make sure it’s managed. If not managed, you may not know you were attacked and where they came in or went. If you have that inventory, you can prevent or at least respond quicker. Another important component is assessing risk and knowing what is important to protect. Let’s say we have two hosts of equal value. If Host 1 is compromised, you can’t leapfrog any further. No other systems will be impacted. If Host 2 is compromised, 500 devices can be compromised including two that may have command and control over payroll or some critical systems. Where do you want to put added security and visibility? On the hot spots that open you up to the most risk! We put things into network context and enable companies to be digitally resilient. Wallace: With so many security concerns to address, prioritization is critical. Wayne: IoT is obviously a trend that everyone is talking about and is becoming an increasing concern for agency IT Security orgs. How is ForeScout addressing IoT? Wallace: ForeScout provides visibility, classification and assessment. If it has an IP address, we can detect it. Classification is where we are getting better. We want to be able to tell you what that device is. Is it a security camera? A printer? A thermostat? We can classify most common devices, but we want to be 75-90% accurate in device classification. The problem is that many new devices are coming out every day. Many you can’t probe traditionally; it could take the device down. And, you can’t put an agent on it. So, we’re using other techniques to passively fingerprint a device (via power over Ethernet, deep packet inspection, and more), so we can get to 95% accuracy. Wayne: Do you see a lot IoT at customer sites, and are they concerned? Wallace: Some don’t realize they have an issue. Many don’t know that IoT devices are on their networks. We are seeing more cases where we are asked to assess IoT environments and address it. Before, we weren’t asked to take action. We used to be asked how many Windows and Mac devices there were. Now, there is a movement by government agencies to put anything with an IP address (the OT side) under the purview of the CISO. Wayne: We see a lot of devices – enterprise and consumer – that aren’t coded securely. 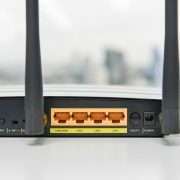 IoT devices should be isolated, not connected to your mission critical operating environment. Wallace: I was curious how RedSeal handles IoT? Wayne: If there is vulnerability scan data, it tells us what OS, applications running, active ports, host name, MAC address, etc. Without that data, we can grab some device data, but with ForeScout, can get more context/additional data about the device. ForeScout can tell you the devices are there. RedSeal can ensure that it’s segmented the way it should be. We can tell you it’s there and how you can get to it, people need to make decisions and act. We show IoT devices as a risk. Wayne: What are some of the trends that you are seeing that need to be addressed at customer sites? Wallace: From a native cloud perspective, we are working on extending the customer on-premise environment and bringing visibility and control to the cloud. We are also working on making it easier to get security products to work together. People don’t have the resources for integration and ongoing management. We’re working to orchestrate bi-directionally with various toolsets to provide actionable intelligence – advanced threat detection, vulnerability assessment, etc. We can take intel from other vendors, and ForeScout gives us the who, what, when, where from an endpoint to determine if that device should be on a network. For example, an ATD vendor can detect malware (find it in their sandbox). They will hand us an incident of compromise (hash, code, etc.). We’ll look for those IoCs on devices on the network and then quarantine those devices. Wayne: Security vendors need to work together. Customers don’t want to be tied to a single vendor. Thanks for your time today. For more information, visit our websites at RedSeal and ForeScout. When disaster strikes, the Federal Emergency Management Agency (FEMA) enterprise network is expanded to include “temporary” mobile data centers that can last from months to years. In this kind of situation, change control, network maps and configurations can get wildly out of control. The security engineers in FEMA’s Security Operation Center (SOC) wanted network visibility. What’s more, they needed continuous monitoring to be able to measure risk and make decisions about how to deploy their scarce time and resources. After learning more about RedSeal’s security analytics platform, FEMA’s cybersecurity lead realized that it could fill a major void in the agency’s solution set. RedSeal could help him understand the network, measure resilience, verify compliance, and accelerate response to security incidents and network vulnerabilities. The FEMA SOC team deployed RedSeal to help manage their change control process — by modeling the data centers as they popped up in near real time. As data centers come online, they use RedSeal to ensure the right access is available. In the coming months, the team is expanding use of RedSeal to support their incident response program. FEMA’s network team also uses RedSeal, to visualize access from disaster sites. Initially, they were shocked by the level of network access sprawl. They had no idea how much gear was on the network at a disaster site or how many security consequences resulted from simple configuration changes. Now, with RedSeal’s continuously-updated network model, the network team is able to identify everything on the network and rapidly address any configuration changes that cause security, performance, and network uptime issues.